Do you want to visit a haunted castle? Your best bet is to head to Europe, where you can find ghostly castles in nearly every country. We rounded up 5 such castles with spooky histories and ghostly inhabitants below. 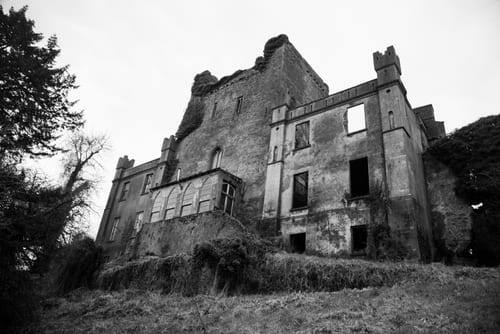 This list would not be complete without what is known as the most haunted castle in the world: Leap Castle in Ireland. The spook factor began with the O’Carroll family in the 16th century. One of the O’Carroll brothers murdered his sibling with a sword in the onsite church, earning the church the fitting title of “The Bloody Chapel”. Visitors report seeing creepy shadows, unidentified men, and the Red Lady. The Red Lady is another haunting story that started with the O’Carrolls. Legend claims she is the ghost of a woman who was captured and enslaved by the O’Carrolls. When she became pregnant, the O’Carrolls murdered her newborn baby inside the castle. Visitors to the castle may notice the smell of decaying flesh, which takes over the haunted castle and legitimizes many of the legends. 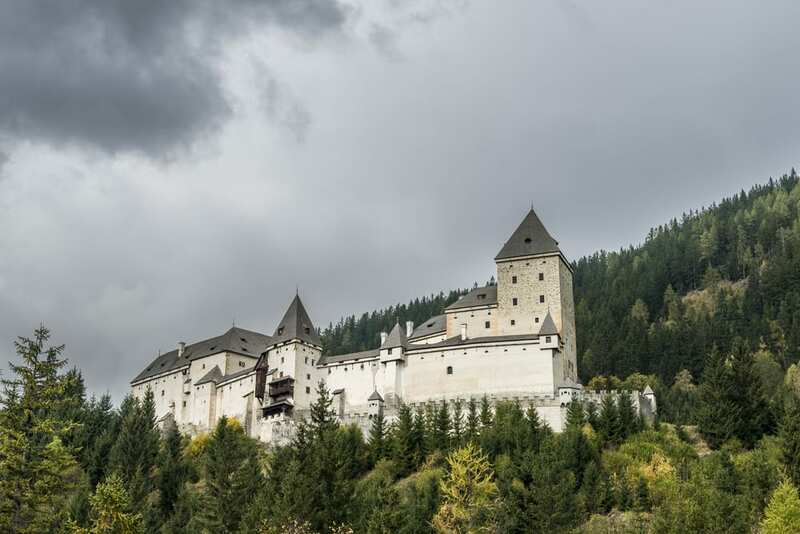 The history of this haunted castle in Austria earned it the nickname “Witches Castle”. Thousands of women were burned alive, or tortured and killed in the dungeons of Moosham Castle because they were believed to be practicing witchcraft. Locals will tell you that these women still inhabit the haunted castle to this day. What a great name for a haunted castle! 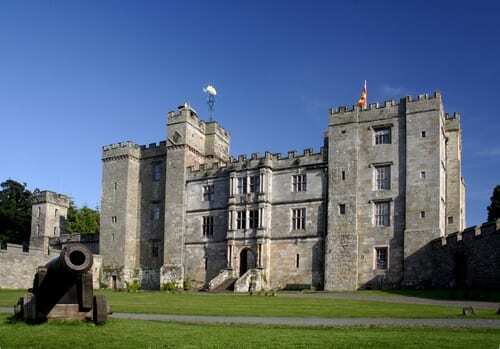 Chillingham Castle is known as being the most haunted in all of Britain. “The Blue Boy” is the most famous ghost, and haunts the Pink Room in the castle. Visitors to the castle claim to see blue flashes and a blue halo of light over their beds. In addition, you may hear the loud wailing of the Blue Boy and you may even see the glowing figure manifest itself as a small boy in blue garb. Renovators discovered bones and linked these to the Blue Boy. To make matters creepier, the bones were found with remnants of blue fabric. 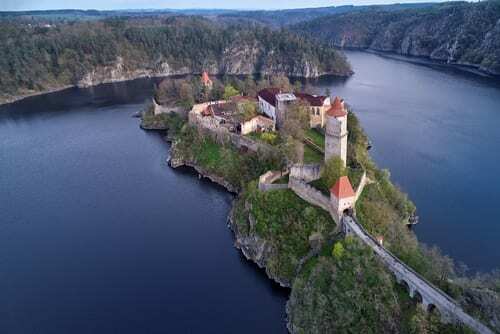 Zvikov Castle is said to be haunted by a ghost known as “Rarasek”. Visitors often report strange occurrences, including technical problems, idiotic animal behavior, and unexplained instances where candles and fires have gone out. In addition, legend claims that anyone who sleeps in the main tower (yes, you can book a room here!) will die within a year. 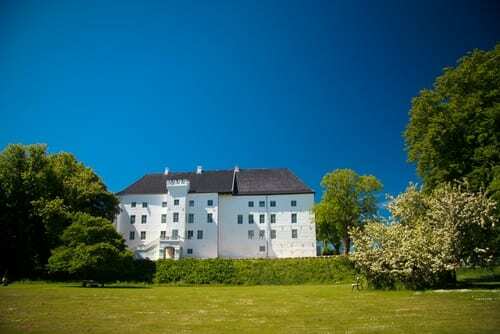 Lastly, we have Dragsholm Castle. Don’t let it’s idyllic appearance fool you! The structure earned its nickname “the prison castle” because it was turned into a prison by Danish royalty. Visitors to the castle have reported sightings of three very creepy ghosts that inhabit the castle. “The White Lady” is one of the ghosts that lives on here. Visitors may see her dressed in white near the dungeons. After having an affair with a servant, her father threw her into the dungeons. The legend became more famous when someone discovered a female skeleton in the dungeons wearing a white dress. The second ghost that lives in the haunted castle is a servant. Lastly, the most famous ghost is the Earl of Bothwell. Apparently, people have spotted him riding into the castle grounds on his horse and carriage. Visit these creepy castles for yourself! Call us at 402-281-3022 and ask to speak to one of our Europe specialists.